ICV sent live webcasting crews to Seattle WA for a live webcast of the New England Journal of Medicine - Catalyst webinar series. A series of Healthcare reinvention events. 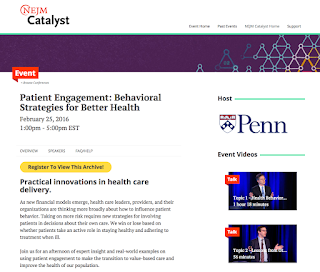 NEJM Catalyst brings health care executives, clinician leaders, and clinicians together to share innovative ideas and practical. Offering these events as live webcasts allows NEJM to reach a truly Global audience. Shooting the webcast at the host facility, St Joseph Health, ICV streamlined the production while creating an engaging setting for the speakers and panelist where a very lively interaction took place. Using live chat and the live webcast viewers were able to ask questions and respond to the discussion in real time. NEJM takes advantage of the ICV Live Webcast Media Portal. 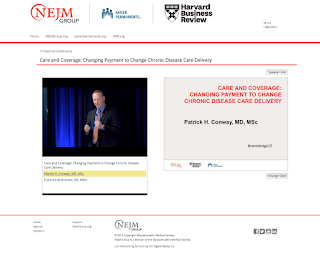 ICV's web developers build and deploy the entire webcast website for NEJM. Creating not only the live video players but also the comprehensive online, on-demand video streaming archive of the entire series of live webcasts. With built in user registration, Webcast viewers can register and login to watch during the live event, and after the event they can access all past events and sessions. 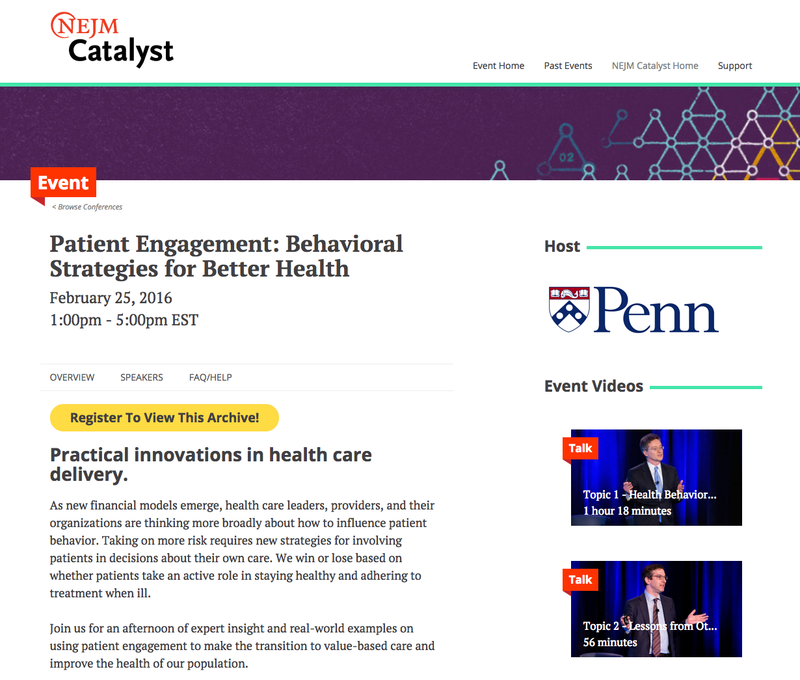 ICV works with dozens of Healthcare organizations and associations to create live and archived webcasts that help them to create an entire ecosystem of content for their audiences, whether it is the public, or a workforce within the organization. Tech, finance, service and governmental clients alike have seen the value in webcasting. If you have an idea to share your expertise, talk to ICV Live Webcasting to find out about the many ways our live and on-demand webcasting services can work for you. I had to pull a video out of a PowerPoint PPTX file today. Here's a great tip for getting content out of a PPTX file. We use this tip from time to time in our Live Webcasting when presenters give us a Powerpoint that we need to synchronize with the webcast stream and they have a video in the PPT they need us to switch to as well. You'll need to be able to see the extensions on a Mac or a PC. Change the extension of .pptx with a .zip. Ignore the warning Windows or Mac OS might give you. "Unzip" the .zip file, on a Mac just extract it and look inside. All the media files, images, jpegs/pngs, mp3's and any embedded video files will be visible and available. You can copy and move them at will. When you're done, rename your PowerPoint file with the pptx extension. 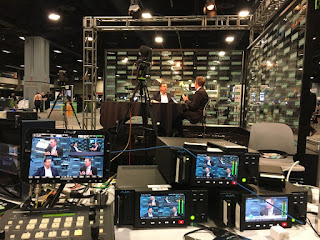 Live Conference Webcasting in Washington DC ICV's Washington DC Live Webcasting crews are working for Silicon Angle at the SPLUNK .conf2017 event in our Nations Capital. Deploying our Tri-Caster video flypacks we setup a 3 camera live switch with LED lighting and truss staging. Crew also walk the show floor to capture ad-hoc interviews and commentary. All of the content is sent back through the TriCaster and our encoders to stream live to The Cube. Packages of content are captured and edited on-site in Premier Pro adding graphics, B-Roll and such. These streamed directly and uploaded to Multiple CDN and Social destinations including Youtube and Ustream and Facebook for on-Demand sharing. ICV manages the entire video webcasting production including all HD gear, crew and complete production services at the venue. Using Canon C-300 cameras, Panasonic Robocams, Newtek TriCasters and our custom configured flypacks we can setup in hours what most companies take a day to configure. ICV was live webcasting in Washington DC for the World Health Care Congress. 3 days of keynote and breakout sessions with over 100 sessions. All streamed live and archived after the event in a custom Media Portal built and managed by ICV. ICV builds and manages the Media Portal for World Health. The Media Portal is used as a single URL that is used as the the Live Event website with responsive video players, user registration, access sales with e-commerce and speaker, session and content management. This media portal is also used as the On-Demand streaming video website for archive sales of the content. Before the event ICV launches the V3 Media Portal which is developed and managed in house by our staff of developers. Pre sales emails, social media postings and registration confirmations are handled automatically in the Portal.